Dana, being the man that he is, sent me a special package overnight. The contents of which can only be truly appreciated by eating said contents. 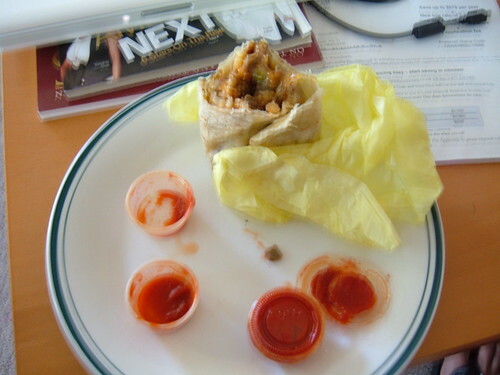 He sent me California burritos from Ramiro’s in San Diego. For the uninitiated, California burritos are regular cheese/meat burritos with french fries added to them. When mixed with the hot sauce provided they provide an absolutely orgasmic mixture of cheese, meat, grease and spices. Thanks D!